A US journalist who accepted an invite by a right-wing news editor to visit “crime-ridden migrant suburbs” in Sweden has claimed he was escorted out of the Rinkeby area of Stockholm by police. Tim Pool is investigating claims of migrant-related violence. 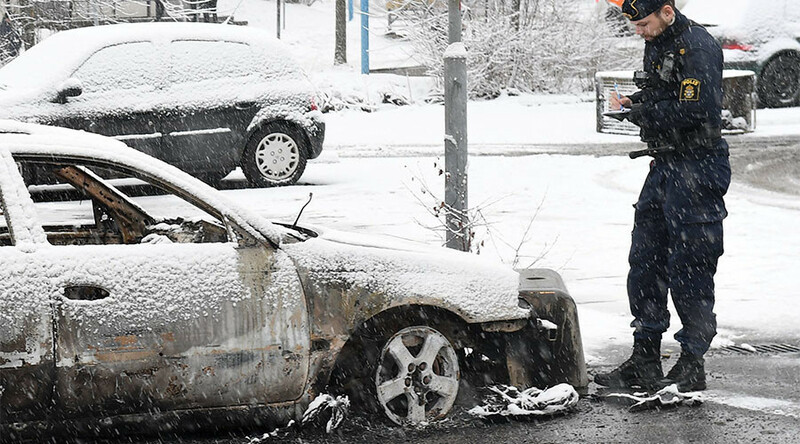 Rioting and looting erupted in Rinkeby last month after police reportedly arrested a wanted person at a metro station. Several cars were burnt out and a police officer and a press photographer were injured in the disturbances. Journalist Emily Molli, who is travelling with Pool, claimed the pair asked police if they could interview a local but were told it would lead to trouble. We asked an officer if he thought we could get an interview from a local, he advised it would probably start trouble. Wasn't expecting such a quick reaction of masking up as soon as we got to the Rinkeby center. Camera was down at my side most of the time. Speaking to The Local, Stockholm Police said they were unable to find any reports relating to the incident but would continue to investigate. Pool’s visit to Sweden was partially funded by Infowars Editor-At-Large Paul Watson in response to the widespread ridiculing of US President Donald Trump, following his comments about a specific, but apparently non-existent, migrant-related incident. Watson tweeted that he would pay travel costs for journalists “to stay in the crime-ridden migrant suburbs of Malmo”. The effort backfired somewhat when thousands of people jumped at the chance of a free trip to the Sweden. Pool visited Malmo over the weekend where he interviewed locals and was given a guided tour by municipal council member Nils Karlsson. "I want to show the true picture of Malmö – without denying that there there are problems, poverty and challenges. But also to show that 330,000 people live in this city and most do not engage in crime or violence or kill each other," Karlson told reporters.